With 2016 just beginning, now is a good time to look at a few items facing Columbia and the metro area. This past year was quite defining with the Charleston shootings and the political aftermath resulting in the Confederate battle flag being retired from the State House grounds as well as the tragic death of Forest Acres Police Officer Greg Alia and the devastating “thousand-year flood” in October. It was a stressful year, but the positive ways in which Columbians handled these and other events showed the rest of the nation the quality of character that resides in the Palmetto State. Hopefully 2016 will be less stressful, but it will nevertheless be an important year with several issues before us. Bull Street will see the completion of the Spirit Communications ballpark and The First Base building. The city also approved a 19-acre park within the development, but other construction involving retail, dining and residential has yet to take place. It will be a defining year for this contentious project that many felt depended too heavily on the city taxpayer. Now that it is underway, we all want to see it succeed, and this year will go a long way in building momentum. Lexington continues in its vigorous growth pattern and shows no sign of slowing down. Good schools, close proximity to Lake Murray and a pro-business environment are the right ingredients that insure 2016 will be another banner year. Traffic congestion, especially on Sunset Boulevard, is the greatest impediment that the city and county will have to address. The area from Irmo to Chapin continues to grow as well with residential homes and retail businesses. Road widening and resurfacing are constant challenges that need to stay ahead of the growth curve. The Columbia City Council will have a different dynamic this year with new members Howard Duvall and Ed McDowell coming on board. Both men were not endorsed by Mayor Steve Benjamin, and they will hopefully show financial prudence in deciding where the city should and should not allocate funds. The flood put a harsh spotlight on where the infrastructure of this city is failing — water and sewer. Long-term investments need to be made in this area to improve the current and future needs of this city, and 2016 would be a great year to get it started. 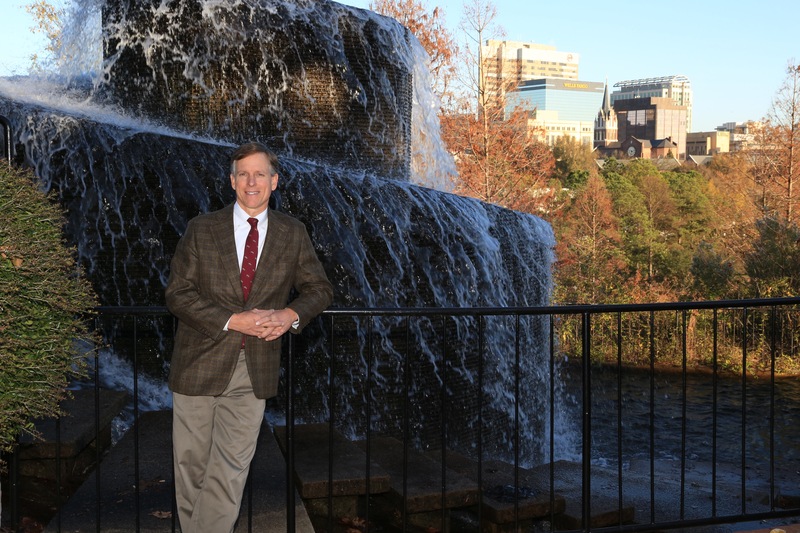 Other areas of interest will be the continued growth of the University of South Carolina and its impact on downtown. With the recent frantic pace of building more and more apartments, it’s hard to believe the city is not already overbuilt, but USC plans on even greater enrollment, so expect to see the apartment boom continue. What effect will the budget mess in Washington have on Fort Jackson? Fort Jackson is possibly so vital to the U.S. Army that it is unlikely to ever be downsized. No one knows for sure, but if sequestration or military budget cuts are enacted, Fort Jackson may actually grow through the consolidation of closed bases elsewhere. Add to all of this the potential of new economic development and a great Gamecock women’s and men’s athletic season, and 2016 should be an exciting one for all Columbians. Columbia Metropolitan Magazine wishes you a successful and prosperous New Year.